The Dark Barrel – rooftop lounge, winter chill, barbecue and live bands!! December 16, 2017 December 16, 2017 Categories Bloggers Meet, Restaurant review2 Comments on The Dark Barrel – rooftop lounge, winter chill, barbecue and live bands!! Continue reading ➞ The Dark Barrel – rooftop lounge, winter chill, barbecue and live bands!! New lunch menu launch and loads of adda with team ‘Yeti Obhijaan’ at Serafina! 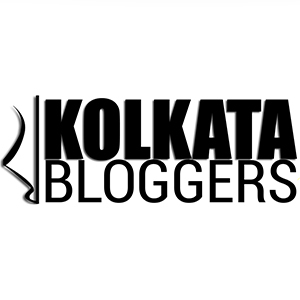 September 21, 2017 September 21, 2017 Categories Bloggers Meet, EventLeave a Comment on New lunch menu launch and loads of adda with team ‘Yeti Obhijaan’ at Serafina! Continue reading ➞ New lunch menu launch and loads of adda with team ‘Yeti Obhijaan’ at Serafina! ‘Karma Kettle’ launches their Festive Collection of floral teas! September 1, 2017 September 14, 2017 Categories Bloggers Meet, Product ReviewLeave a Comment on ‘Karma Kettle’ launches their Festive Collection of floral teas! Continue reading ➞ ‘Karma Kettle’ launches their Festive Collection of floral teas! ‘The Tea Trove’ – Bloggers Meet at the tea lover’s heaven! June 24, 2017 June 24, 2017 Categories Bloggers Meet, Restaurant reviewLeave a Comment on ‘The Tea Trove’ – Bloggers Meet at the tea lover’s heaven! Continue reading ➞ ‘The Tea Trove’ – Bloggers Meet at the tea lover’s heaven! Soul Cafe – A perfect adda-joint near Quest Mall! June 19, 2017 June 19, 2017 Categories Bloggers Meet, food tasting, Restaurant reviewLeave a Comment on Soul Cafe – A perfect adda-joint near Quest Mall! Continue reading ➞ Soul Cafe – A perfect adda-joint near Quest Mall!